I love it when my worlds intersect! 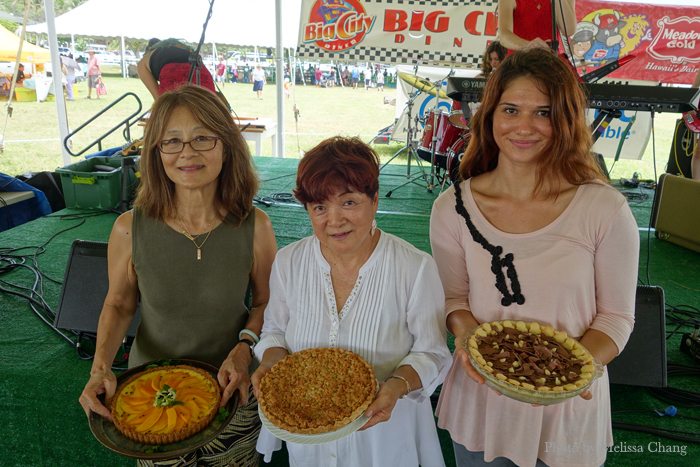 Yesterday I got to be a judge at the Hawaii State Farm Fair’s annual pie recipe contest, tasting three finalist pies and representing Frolic Hawaii as a foodie. I had to be there anyway, since the Hawaii State Farm Fair is my social media client, but this was the first time I got to actually judge this yummy contest.